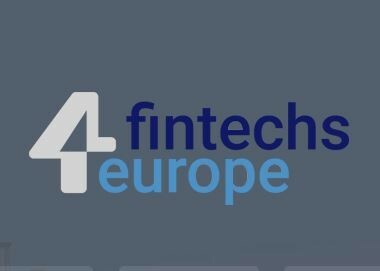 A number of Europe’s leading financial technology companies met the 27th of September on the premises of the European Parliament in Brussels to launch the “Fintechs4Europe” association. The association will work together with European political leaders and policy-makers to ensure that European policy facilitates the growth and development of the continental fintech sector. During the next 15 months, important decisions will be taken at the European level with regards to the financial technology sector. These decisions will build upon the efforts which the Commission has devoted to this sector over the last 12 months. In December of 2015, the European Commission published a Green Paper on the development of cross-border financial services. This Green Paper generated a great deal of interest and discussion in the financial industry sector. The European Parliament has followed suit, fully aware of the impact which cutting-edge technologies such as block chain and digital currency will have on the movement of money in coming years. The European Parliament is currently working on its own report on financial technology. The Rapporteur is the Liberal MEP Cora van Nieuwenhuizen from the Netherlands, who was also the keynote speaker at the inaugural meeting of the association in the European Parliament. Michael Stephan of Raisin GmbH was elected chairman of the FinTech association and commented on its establishment: “We are delighted that European institutions have taken a favorable view on digitisation. With digitisation, we can overcome existing barriers in domestic markets and offer more attractive products to consumers. That’s why it was important to establish this association. Europe has the potential to become the world leader in financial technology. We look forward to working with policy makers to develop this potential. This will also contribute to the creation of more jobs in Europe. ” Michael Stephan had already advised the European Commission on how to streamline cross-border fintech regulations during hearings which took place during March of this year. The association “Fintechs4Europe” is currently comprised by nine leading Fintech companies: Fidor Bank, iZettle, Kantox, Number26 GmbH, PEY, Raisin GmbH, Revolution, Scalable, and TransferWise.